Holiday Markets There are some AMAZING holiday markets where we live, and I’m sure there are where you live too! 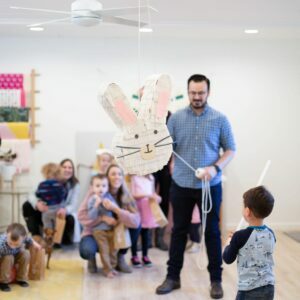 The kids love bopping around the markets with us, and it’s a super cool opportunity to teach them about working artists, shopping local, and the joy of giving. 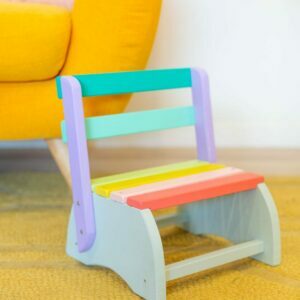 We always have a little talk ahead of time about asking for help when they want to touch or handle things, and staying on the lookout for gifts for family and friends. It’s a really fun holiday tradition! Ice Skating This was the first year that Henry was big enough to get out on the ice and it was a dream! 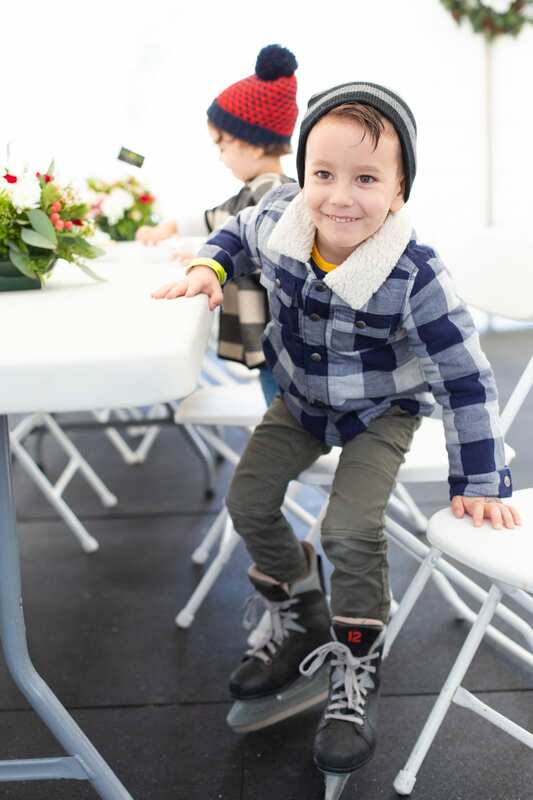 Find an ice rink that has the skate helpers for the kids to hold onto and you’re golden. This outing also comes with a pro tip: bring snacks! 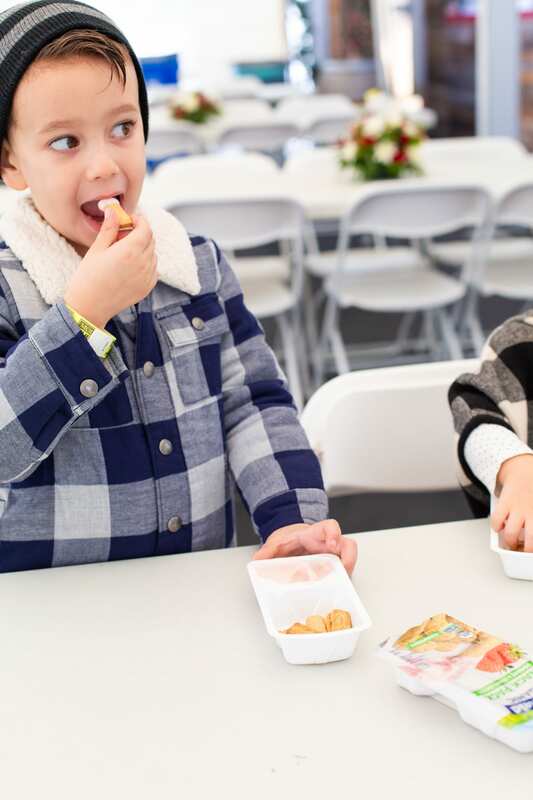 The new Stonyfield snack packs have been a lifesaver for us so many times since their recent release — they’re yogurt with graham cracker dippers so you don’t need a spoon! Brilliant. I toss a couple of these in my bag when we are headed out for a few hours and it saves us from hunger meltdowns. 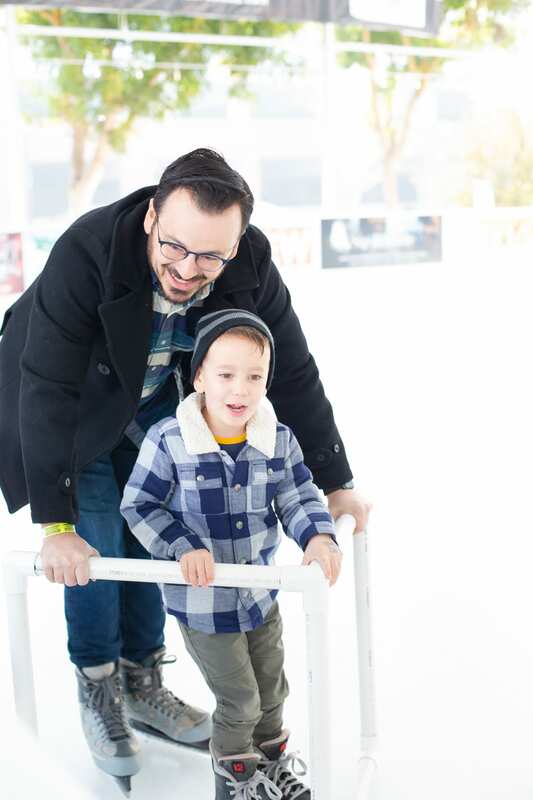 If you take your kiddos ice skating, just take it slow and let them call the shots. Skate a little, rest and have a snack, and let them get out on the ice again when they’re ready. Local Library Our children’s section (and so many others around the country) of the local library is so great at having holiday programming. We go for storytimes, free play, and special events. Check your library’s listings to see if they have any special holiday book readings, story times, or events coming up. Light Hunting One of my favorite (and free!) holiday adventures! 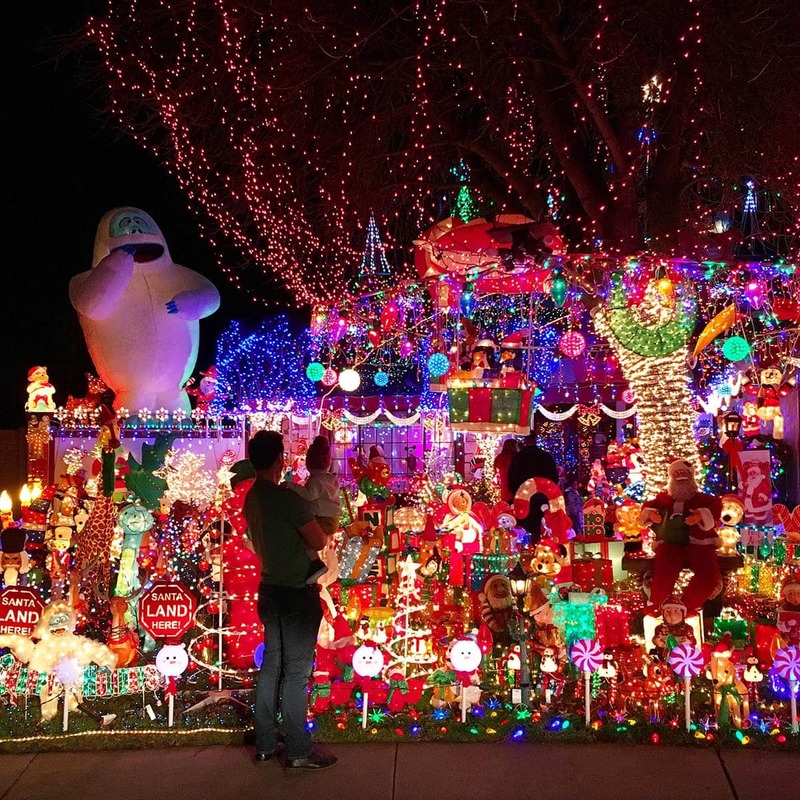 Get online and do some research about private residences in your area with spectacular light displays. 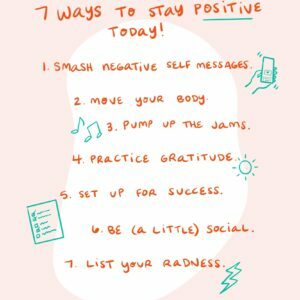 Make a night of it and hit them all! Even better if you have a Christmas Tree Lane. We pile the kids in a wagon with some snacks, all bundled up, and just walk and ooh and aah at the lights. 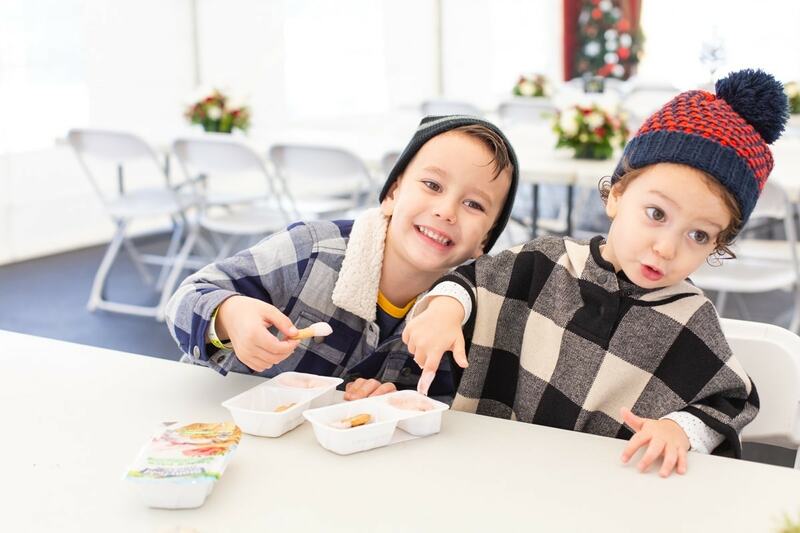 Another perfect use for the Stonyfield snack packs –they’re non-GMO and organic, so it makes me super happy that the kids love snacking on something that’s truly good for them. And I’m always grateful as a mom for a snack that’s healthy and easy, especially as we’re running around having fun. The last thing I want to worry about is having to eat junk food or someone getting hangry. A hangry toddler isn’t fun for anybody, y’all! These grab-and-go packs are perfect for an active holiday season. Santa Business Now this one is not for the faint of heart, but this year my kids actually asked to meet Santa. It’s not something we’ve done in the past and they were SO excited to do it this year so we figured we’d go for it. 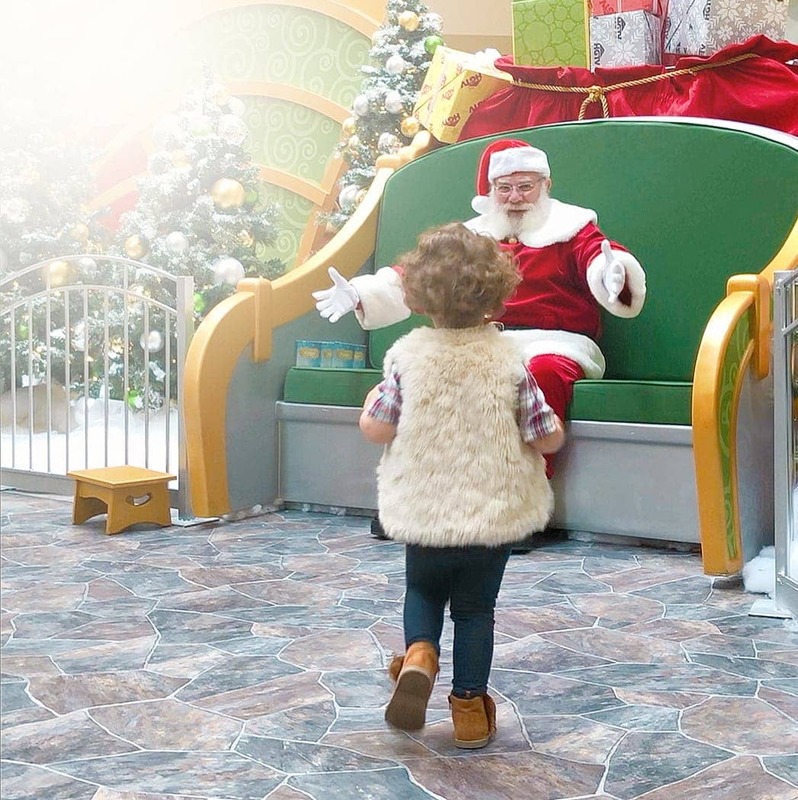 If you’re going to meet Santa, I recommend doing your research and finding where the best one is, and then going as soon as they open in the morning. 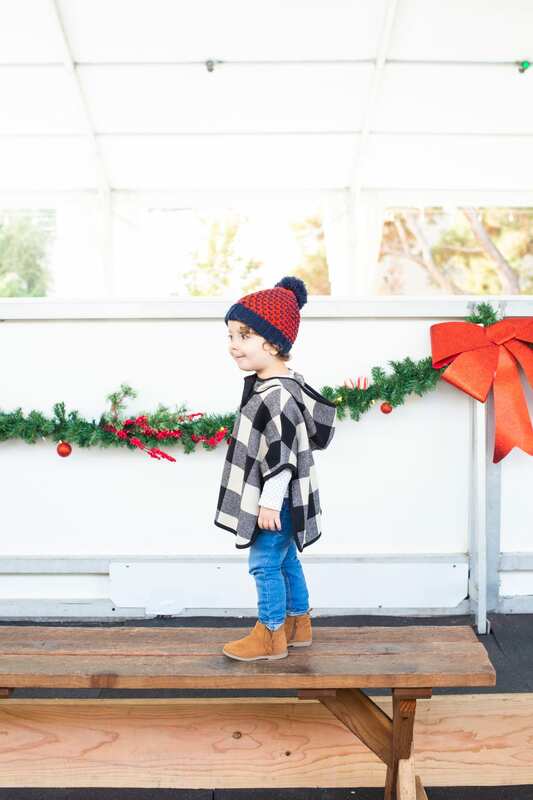 Prep your kiddos ahead of time to make sure they know Santa might want a hug or a high five, and make sure they know what they want to talk to him about. Henry was sure he didn’t want to sit on Santa’s lap, but he did want to sit next to him. Let the kids call the shots and you’ll have the most positive outcome. Pro tip: If your kiddo is NOT into it but you want to get in the spirit, just write a letter to Santa and make a big deal about dropping it in a mailbox together. Giving Back We have a few traditions that we keep each year when it comes to giving to others, and now that the kids are old enough we include them too. We look for Salvation Army bell ringers and the kids give their spare change. We work with our local Soroptimist chapter to find families who need help with Christmas gifts, and the kids help us shop for the things that the families need. We help the kids round up their gently used toys and help them donate to a local charity. We also spend a lot of time working on our advent kindness calendar. 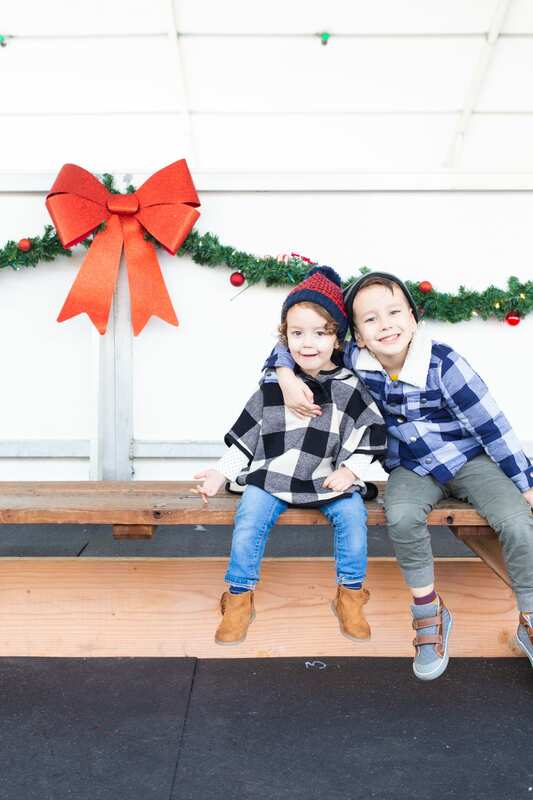 There are so many ways to teach kids about kindness around the holidays, and these moments are some of the sweetest and most memorable, for sure.